Allow to move in the manufacturing parameters with keyboard arrows. 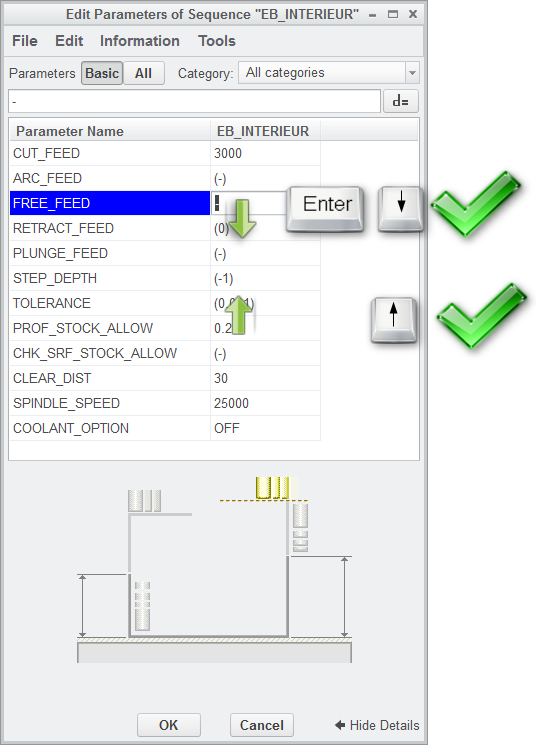 Pressing "Enter" allows selection of next Pro/NC parameter in "Parameters" tab of all Pro/NC sequences in Manufacturing environment. 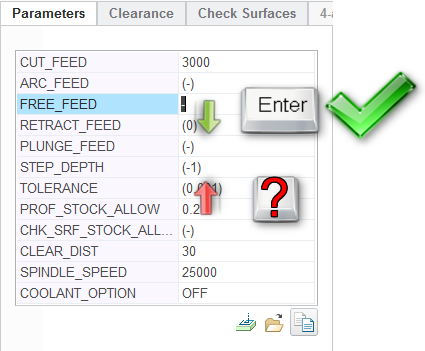 There is no key to select the previous Pro/NC parameter in "Parameter" tab ! Re: Allow to move in the manufacturing parameters with keyboard arrows. Just blind tip ... did you try TAB for forward direction and SHIFT+TAB for backward direction ? thank you for your not,.